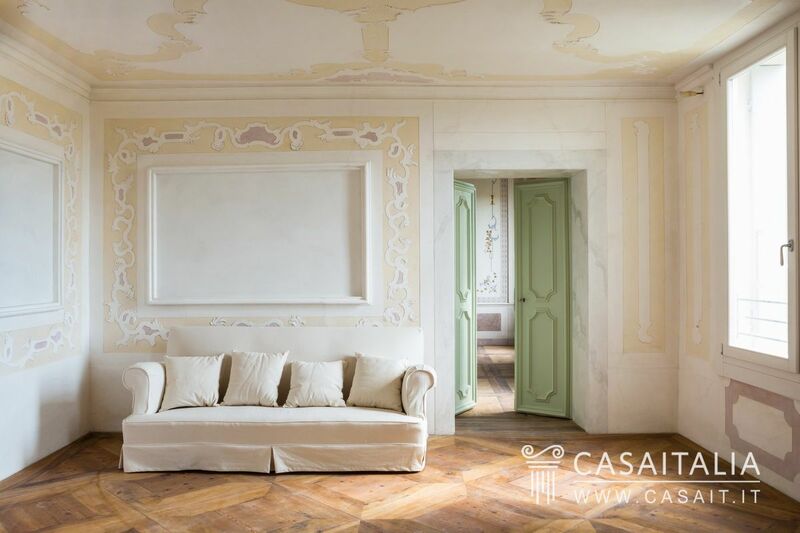 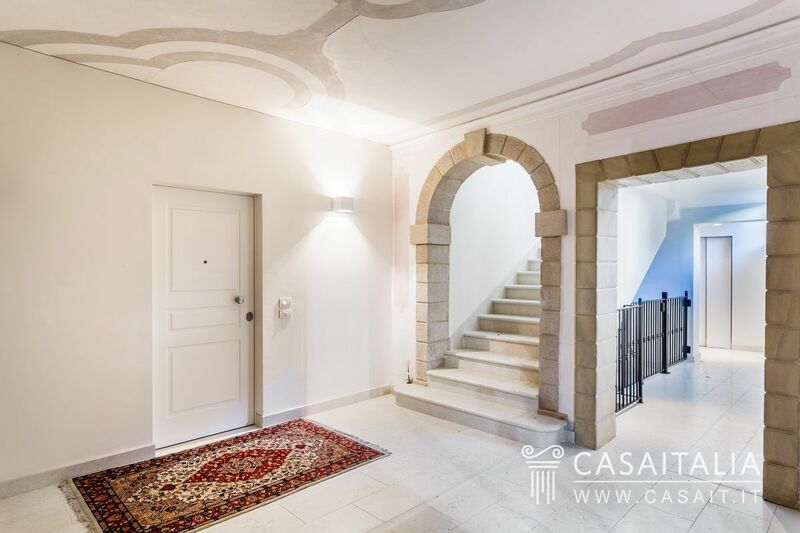 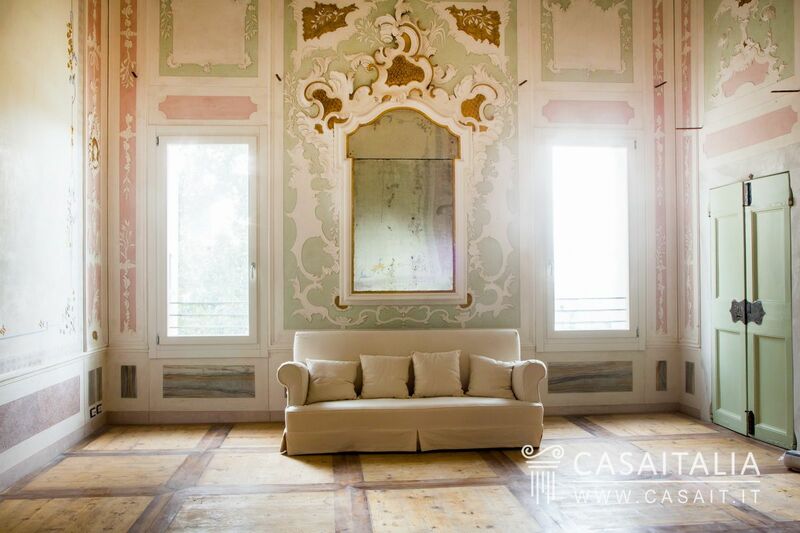 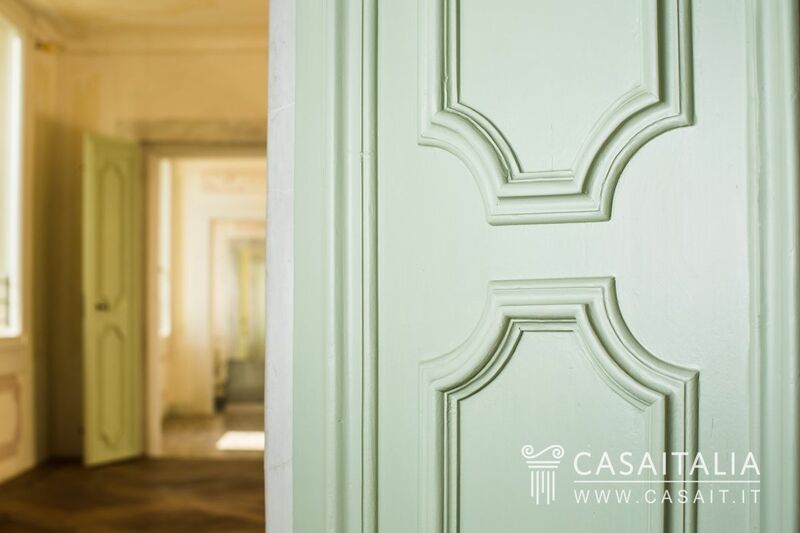 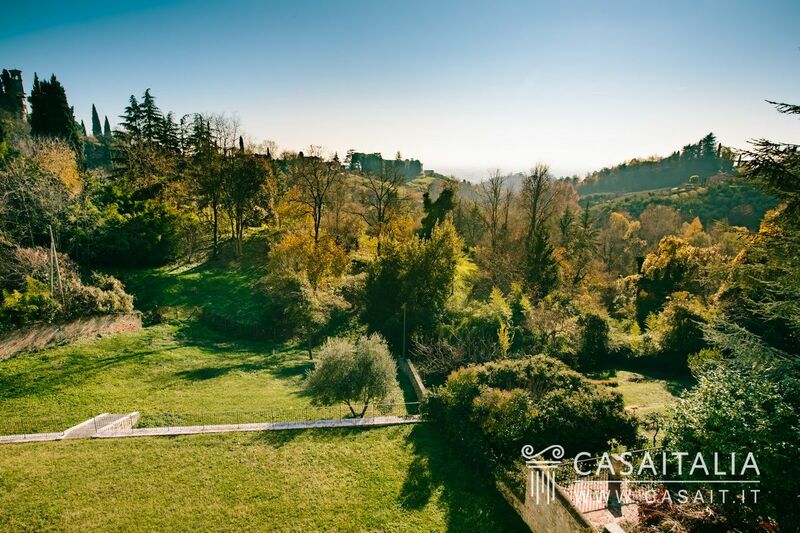 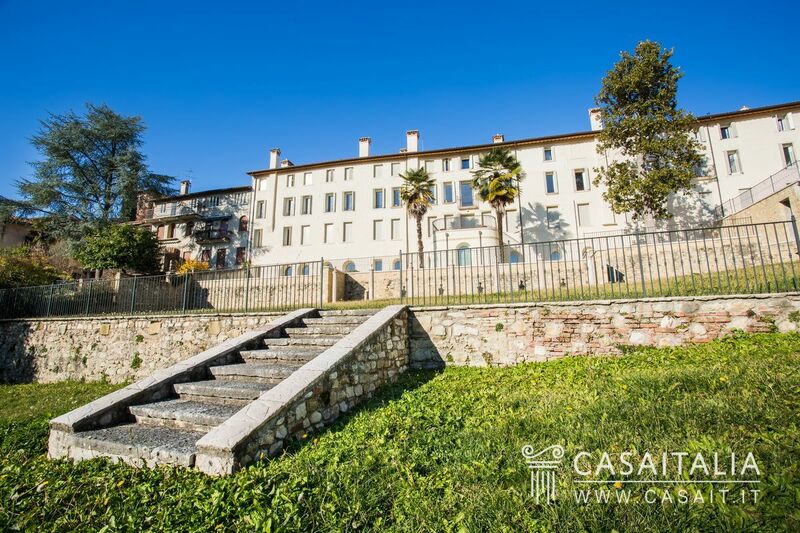 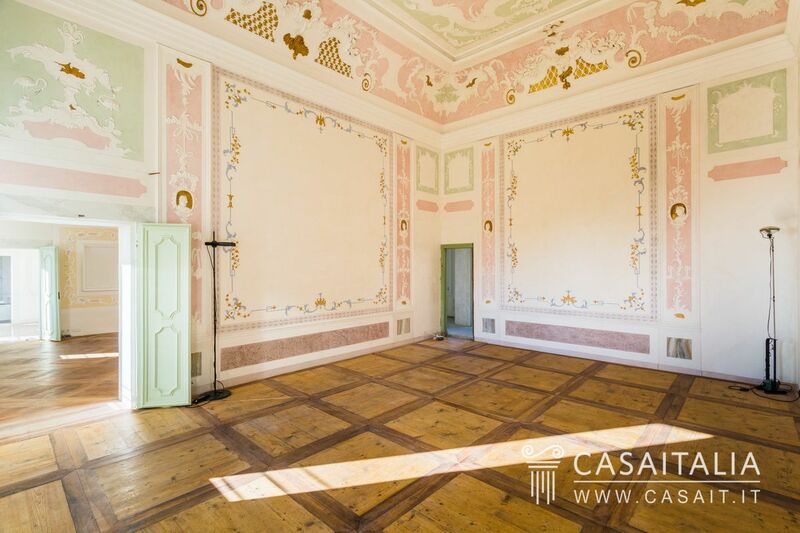 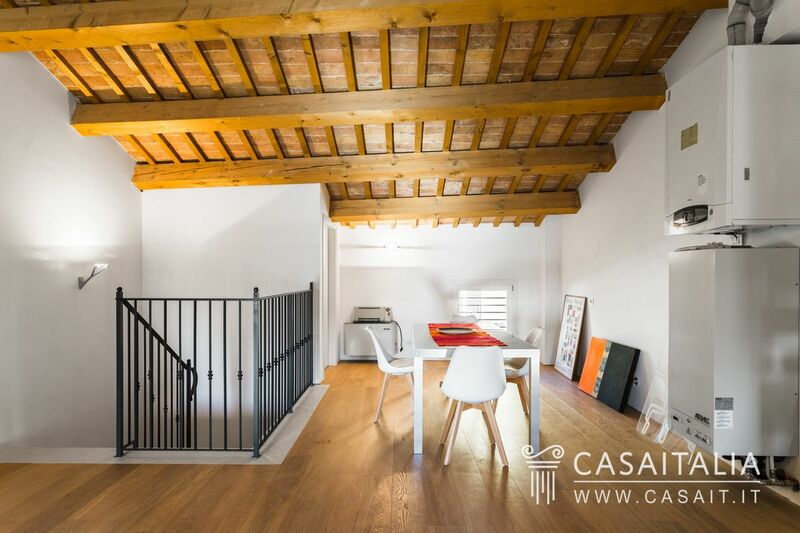 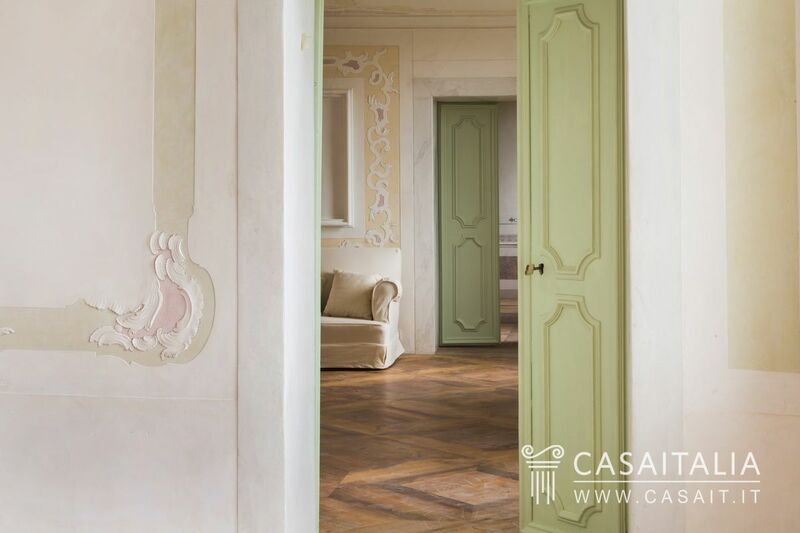 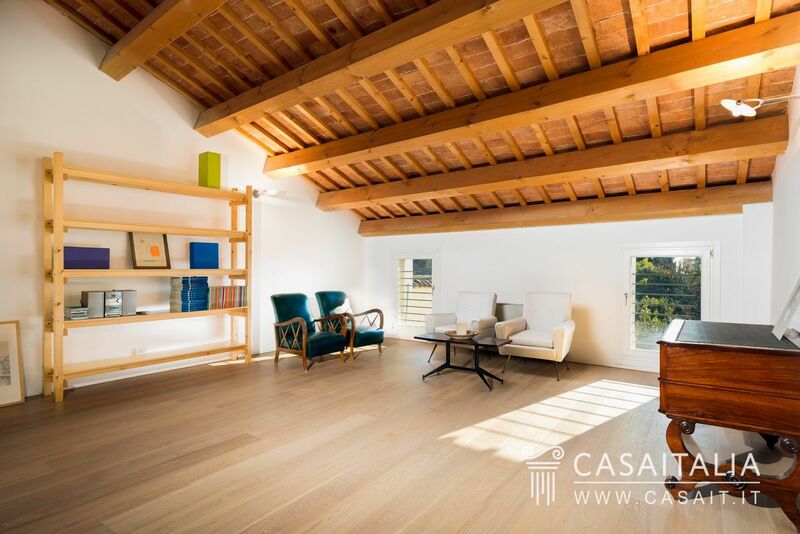 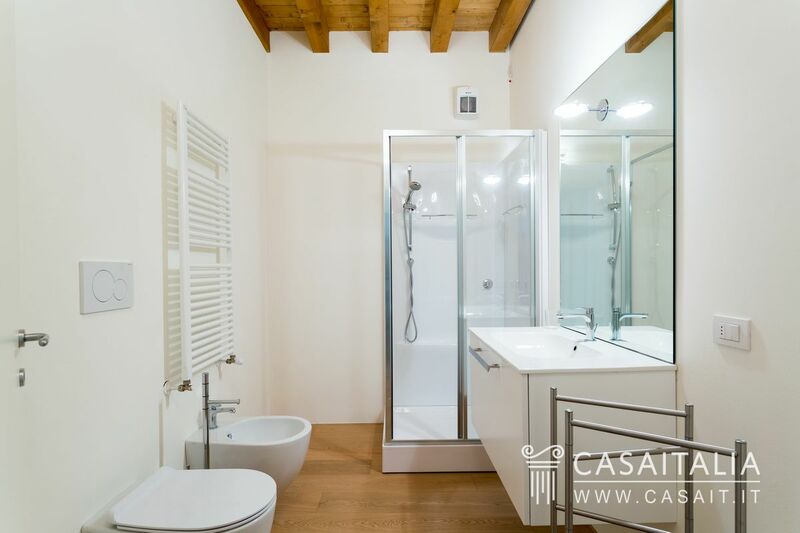 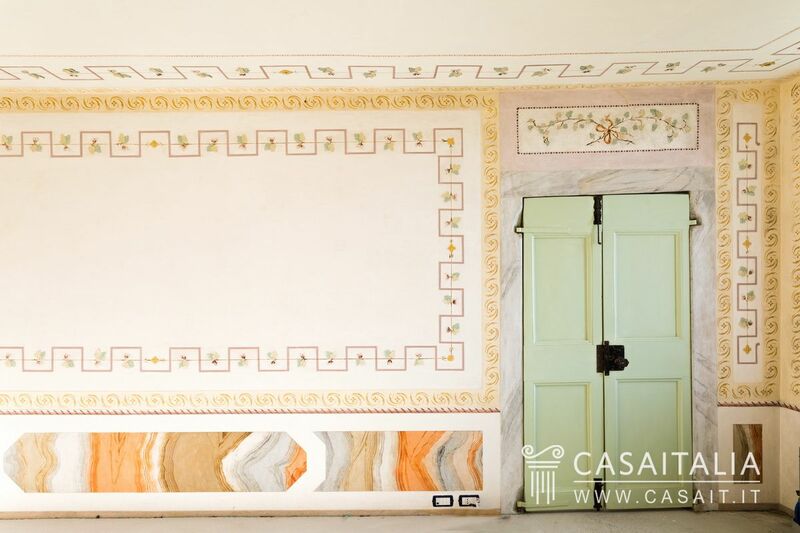 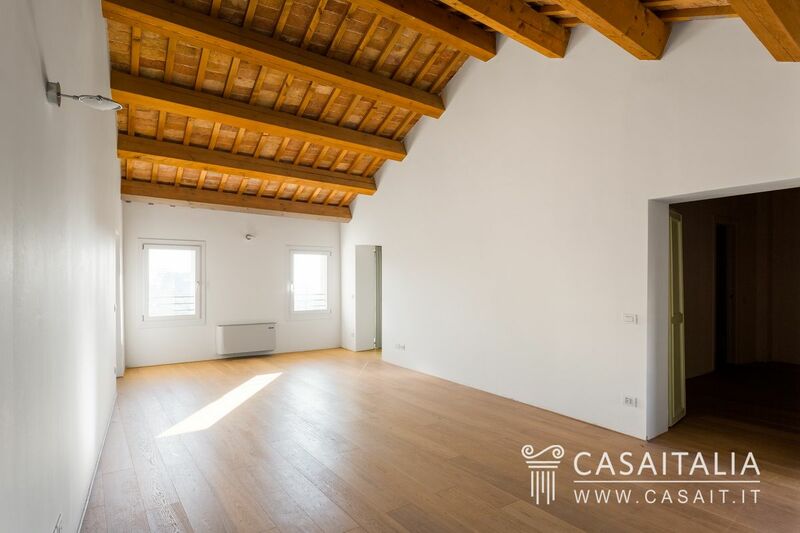 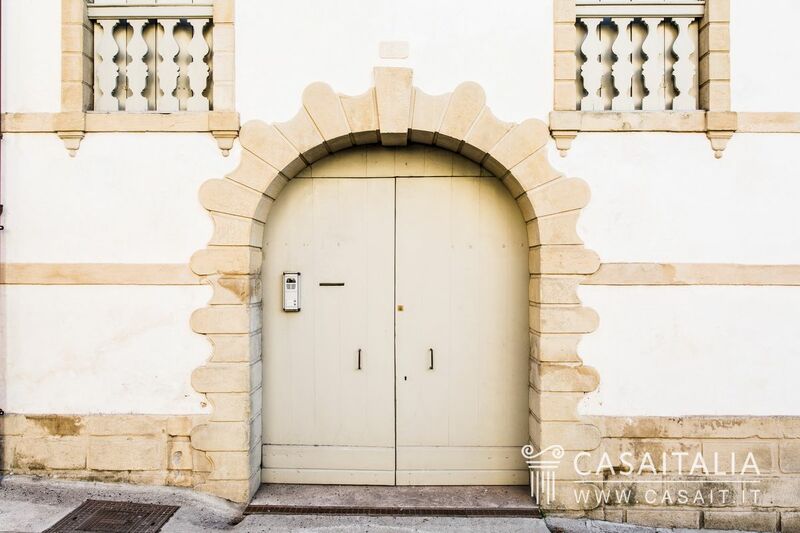 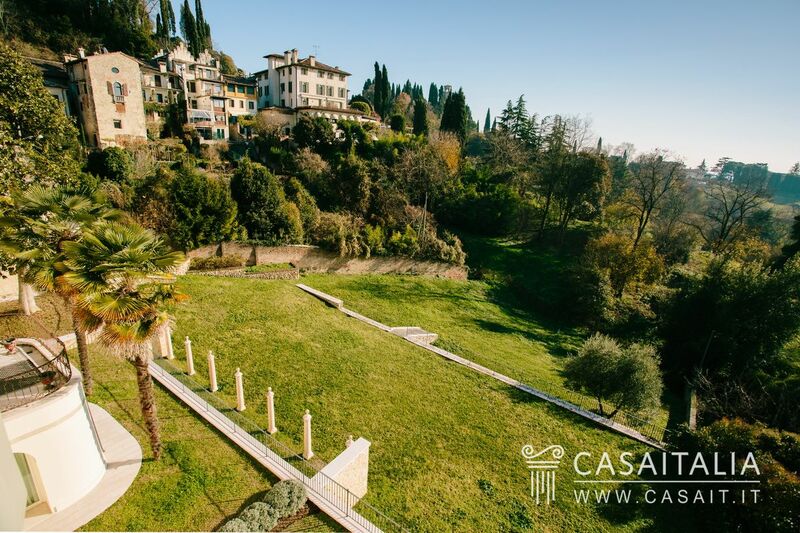 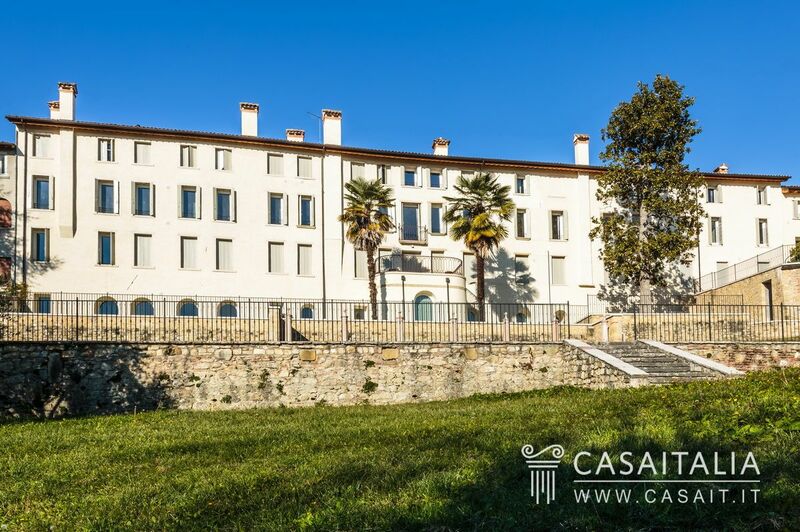 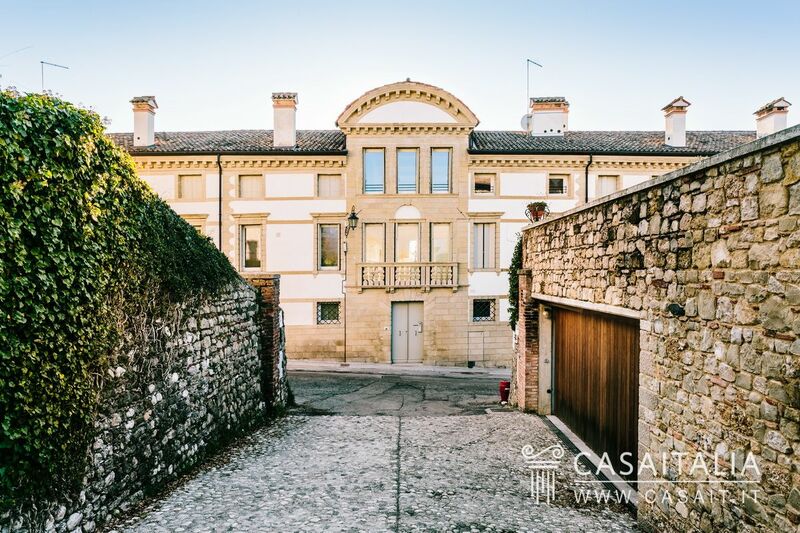 This splendid 17th century palazzo, which has recently been fully restored and divided into 10 luxury apartments of various sizes, is situated in the historic centre of Asolo, one of the 100 most beautiful villages in Italy. 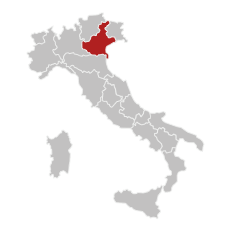 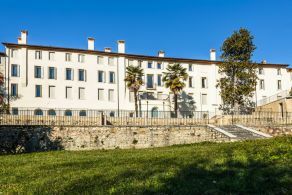 The location, extremely central but surrounded by greenery and beautiful views at the same time, makes it easy to reach Asolo’s famous Rocca and the town centre on foot, while in just an hour’s drive you can be in all the Veneto’s main cities, such as Venice (78 km), Vicenza (50 km), Padua (54 km) and Belluno (62 km). 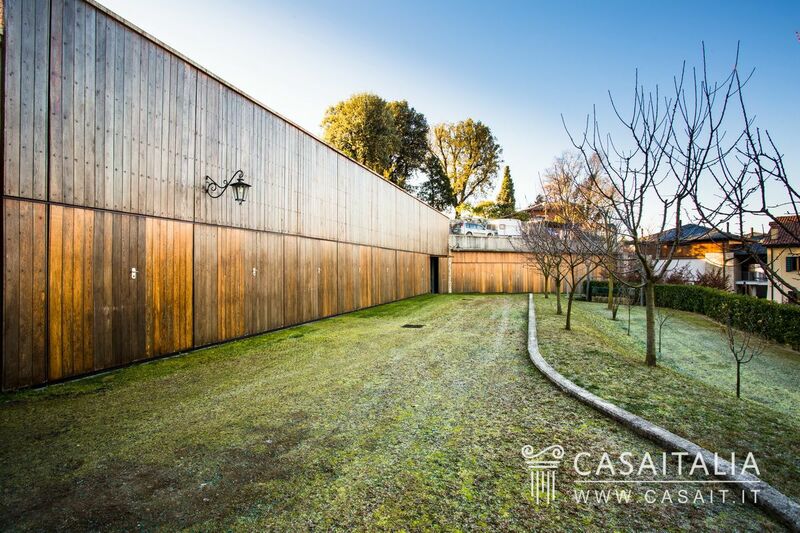 The nearest airport is Treviso’s Canova airport, half an hour’s drive away (40 km), with connections to many of Europe’s main destinations, while in less than an hour (80 km) you can get to Marco Polo international in Venice with access to many intercontinental flights. 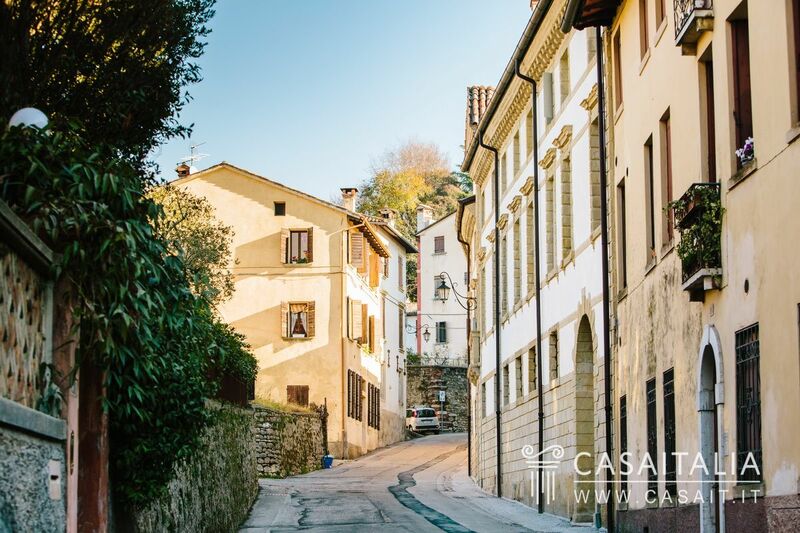 Asolo is also ideal for day trips to important tourist destinations, thanks to its proximity to some of the best ski (Cortina d'Ampezzo 130 km), and beach resorts (Jesolo, 80 km). 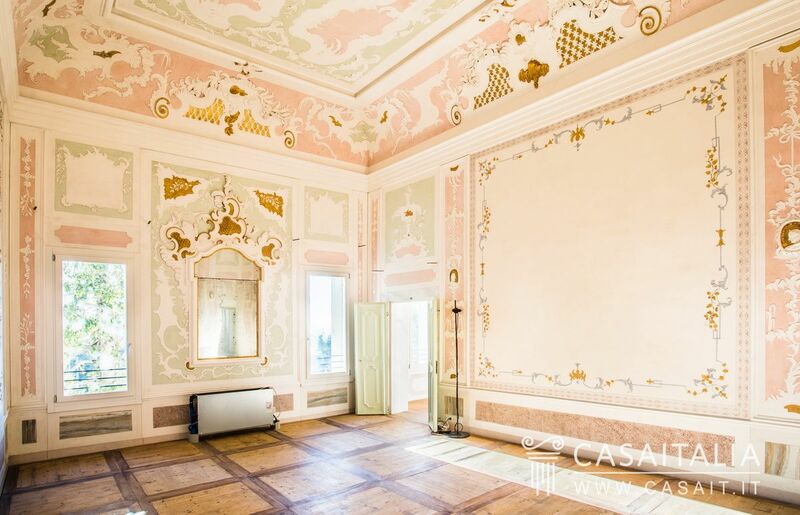 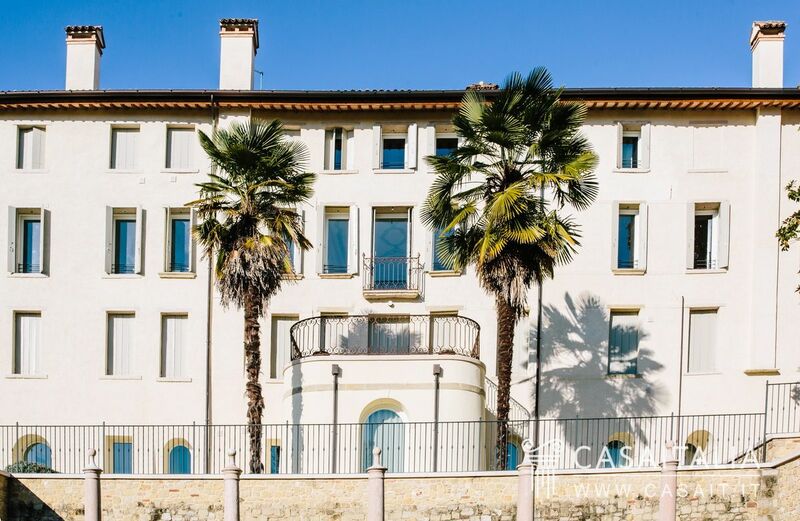 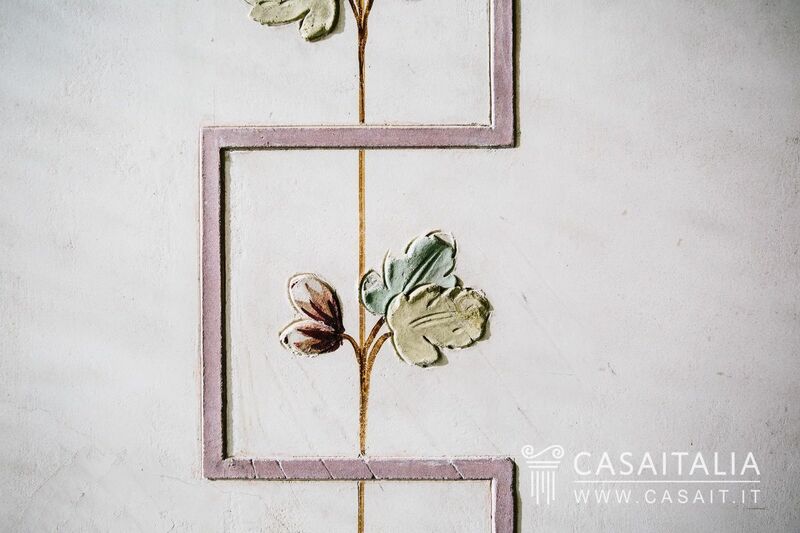 The palazzo, which has three floors, has recently undergone careful, accurate restoration, and 10 luxury apartments of various sizes have been built inside it, 4 of which are still available. 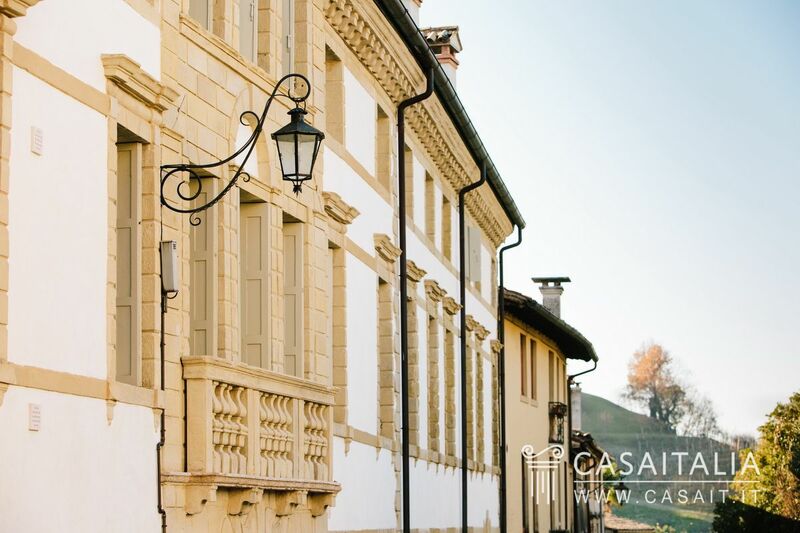 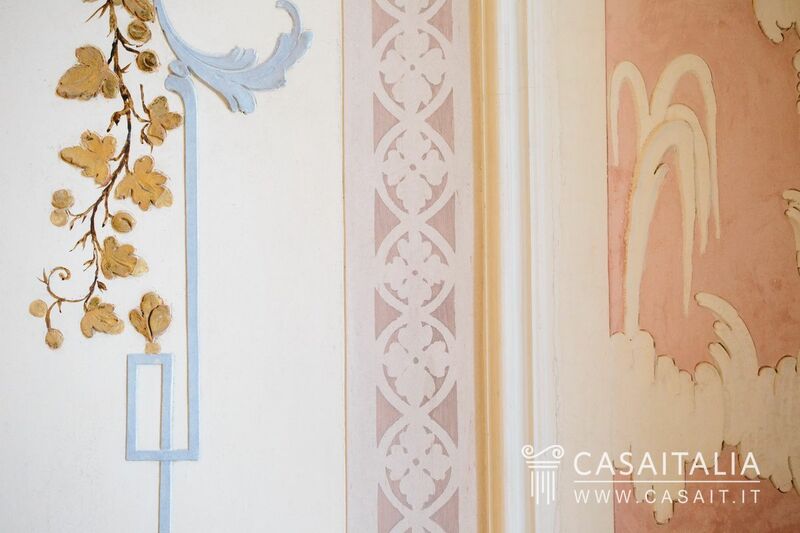 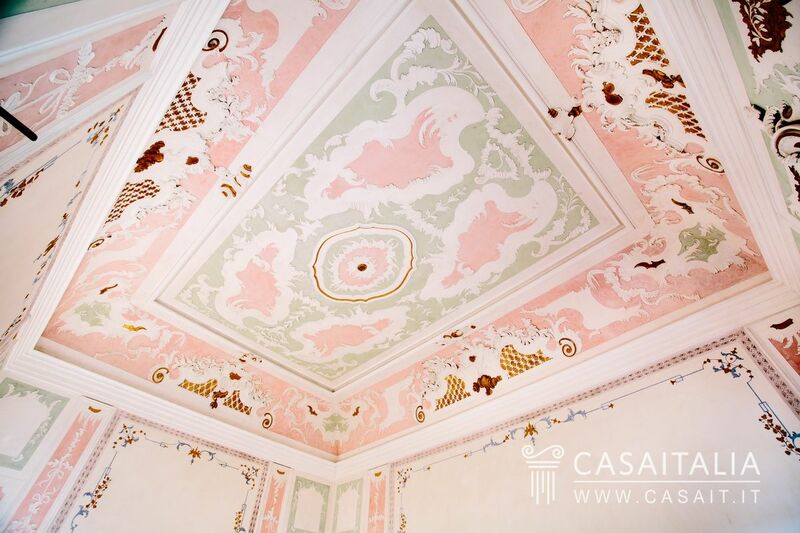 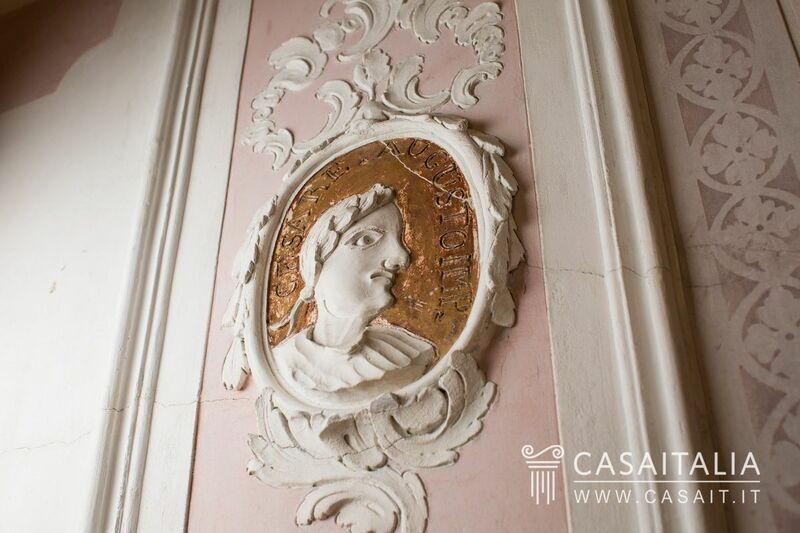 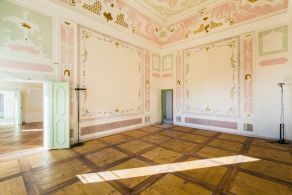 Dating from the seventeenth century, in 1797, during the arrival in Asolo of French troops led by the Commander General of the Italian army, the palazzo played host to Napoleon Bonaparte, in what came to be known as the “Hall of the Stuccoes”. 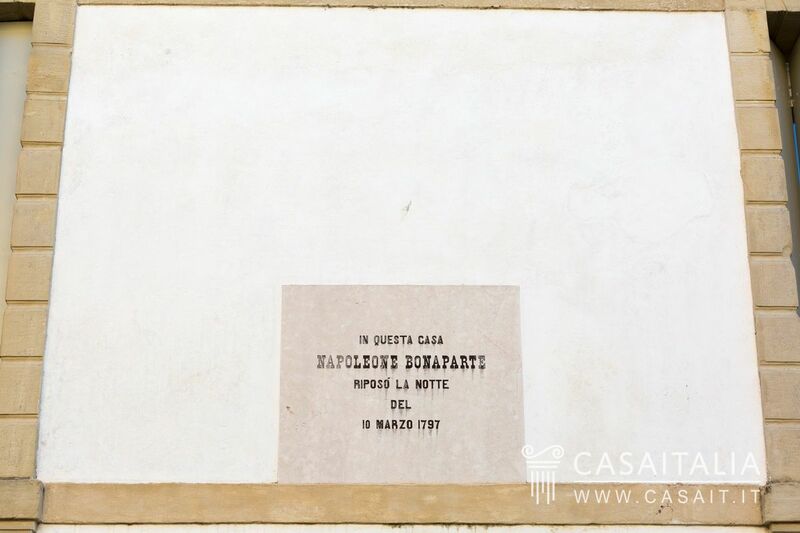 The event has been recorded with a commemorative plaque on the side of the palazzo. 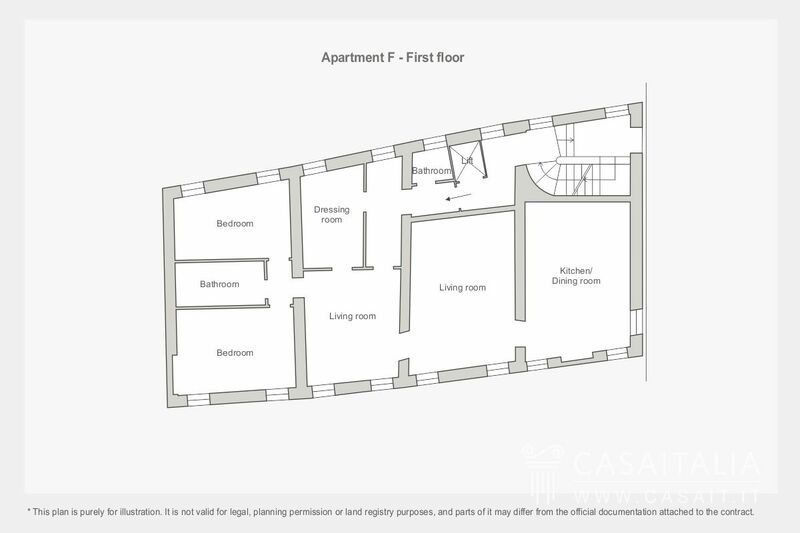 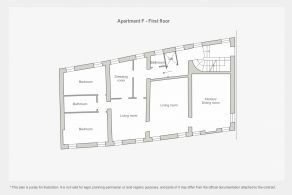 Comprising: entrance hall, kitchen, living area, 1 bedrooms, 2 bathrooms, 1 guest bathroom and 1 storeroom in the garden. 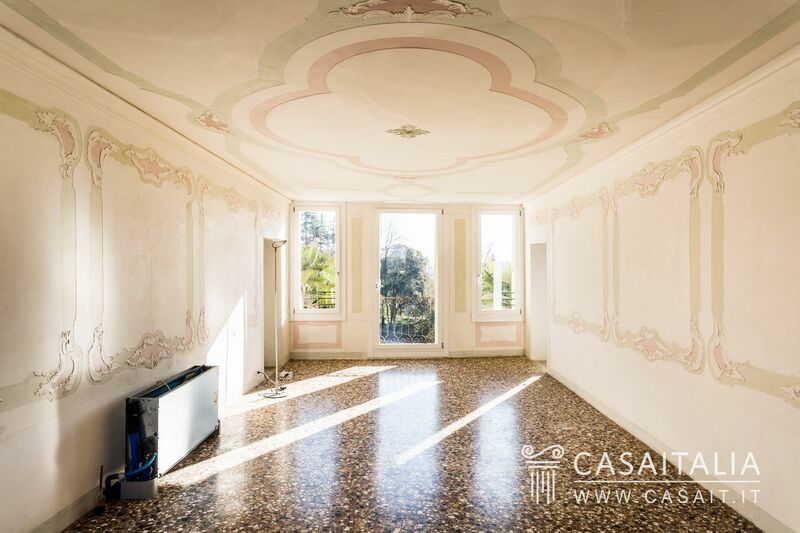 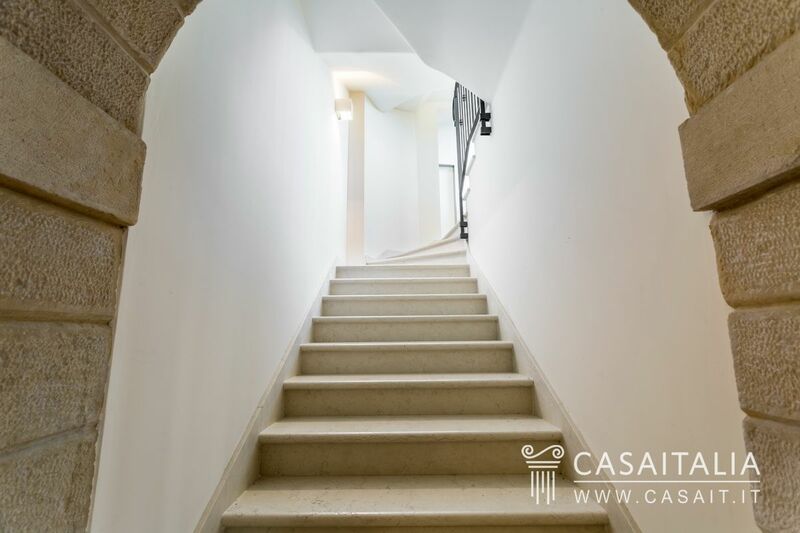 Comprising: entrance hall, kitchen, guest bathroom, Napoleon room (living room), frescoed room (sitting room), 2 bedrooms, 2 bathrooms. 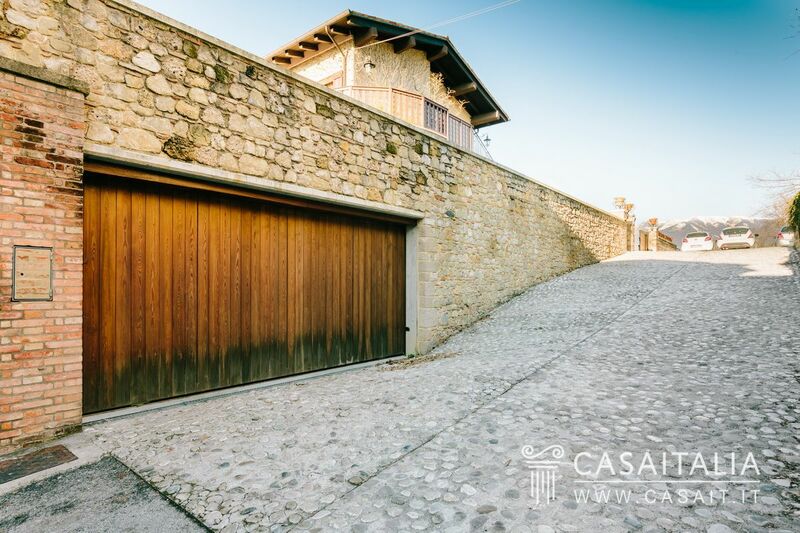 There are also 8 parking spaces available for purchase at € 60,000 each. 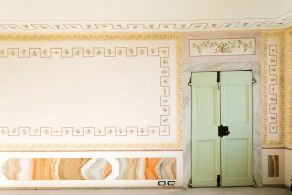 Among the palazzo’s prestigious features are its main facade and the frescoes and stuccoes on the main floor, the work of the famous architect, Giorgio Massari (among his most well-known works are the Palazzo Grassi and Cà Rezzonico, on Venice’s Grand Canal), which have been preserved and enhanced during the restoration of the building. 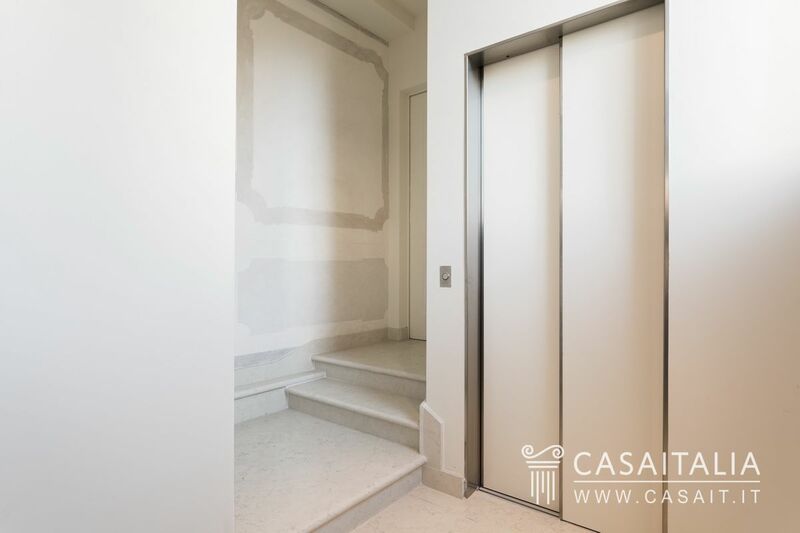 In addition, the restoration of the antique stone staircases and the installation of the lift have helped to modernise the communal entrance areas. 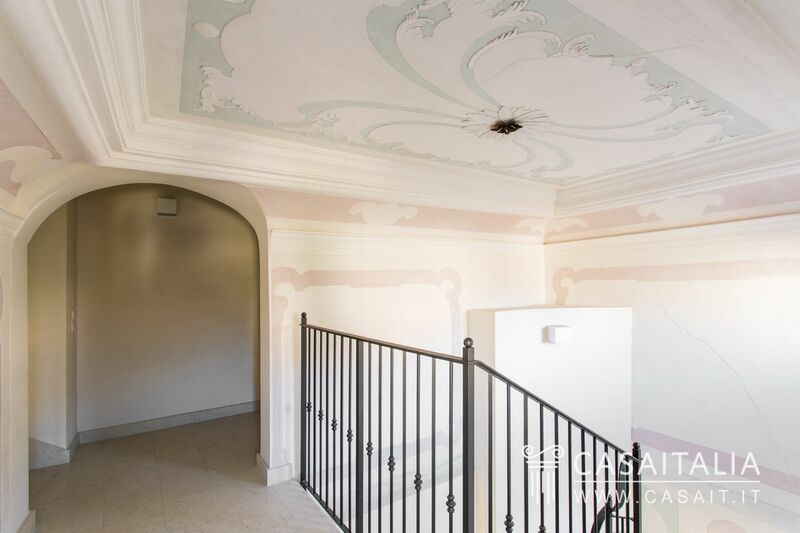 The state of the art fixtures mean each unit benefits from a beautiful view, without losing out on comfort or a high standard of soundproofing. 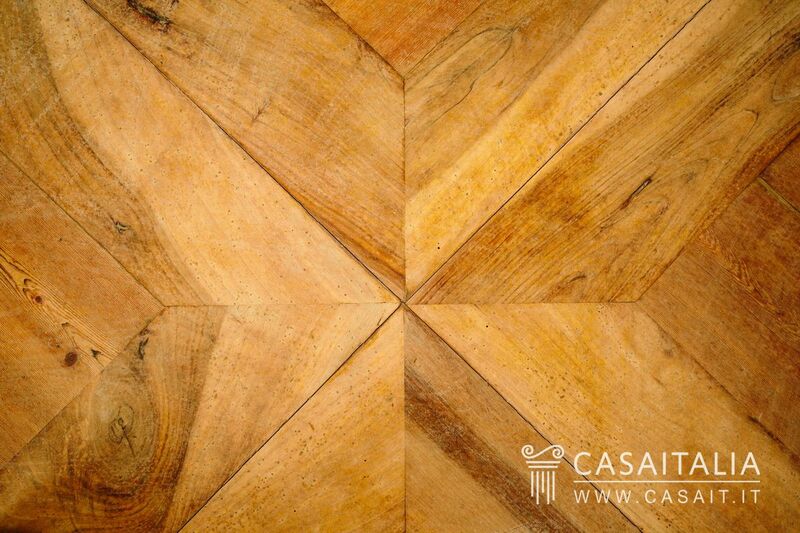 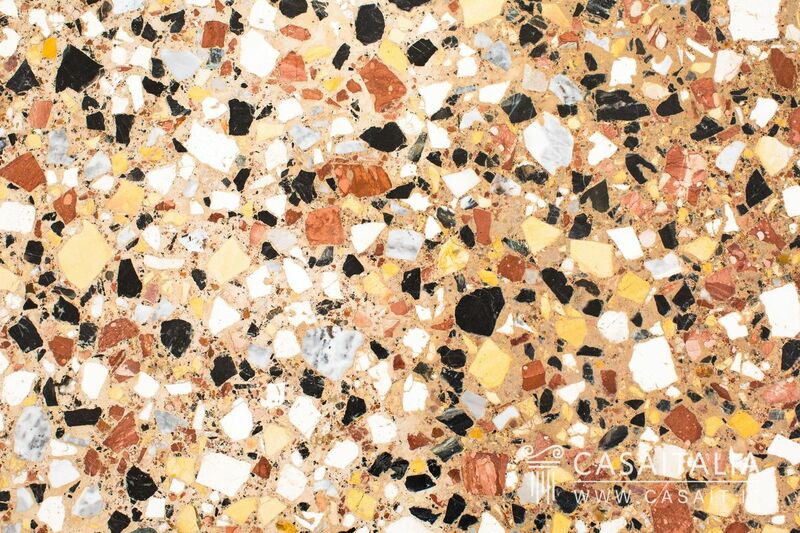 Some units, which don’t have antique flooring, can be personalised with the flooring of your choice, as can the bathrooms. 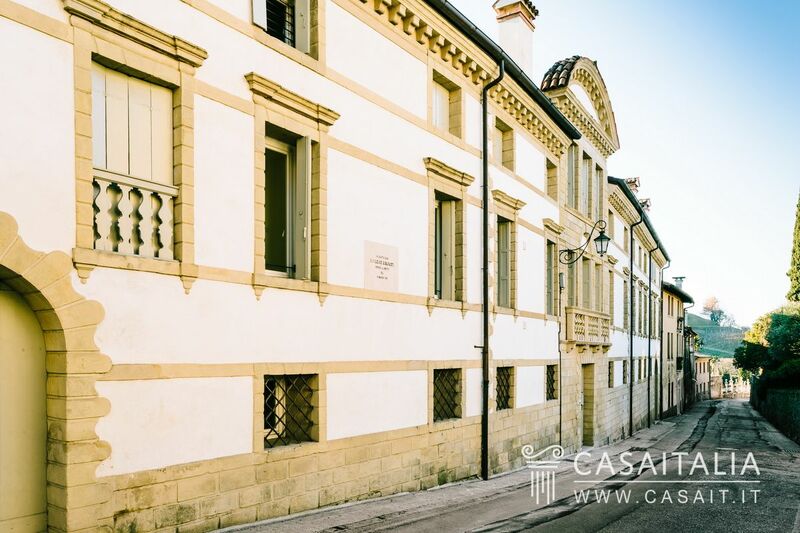 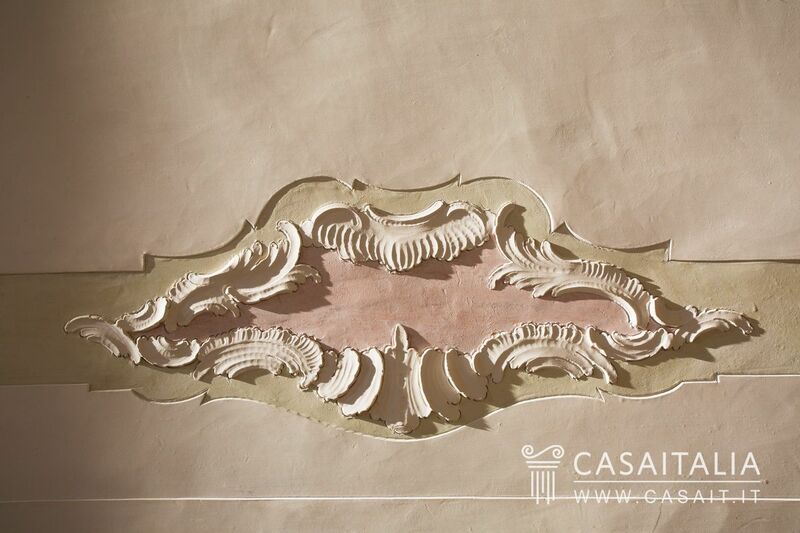 The apartments in the palazzo are ideal as luxury permanent homes. 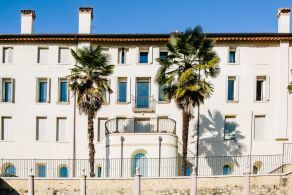 However, thanks to the location and level of luxury, they would also be an ideal investment, as a ‘short term let’ to be managed directly or through an agent.